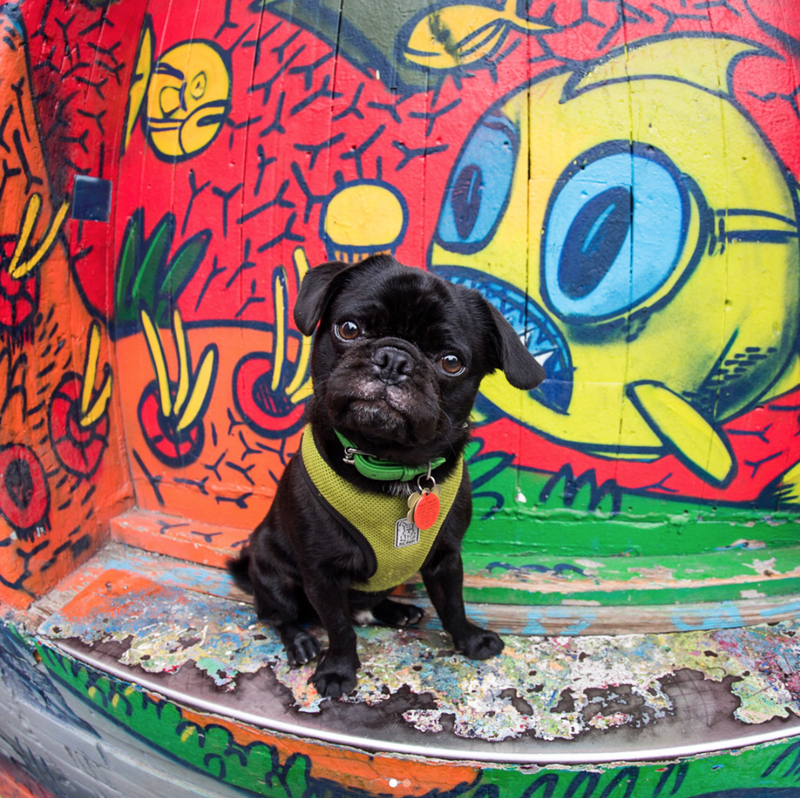 capturing that pawfect photo for a frame-worthy portrait can be a challenge (pardon the pun, i really couldn't help it), but never fear, with a little practice your pet will look like a rockstar every time. 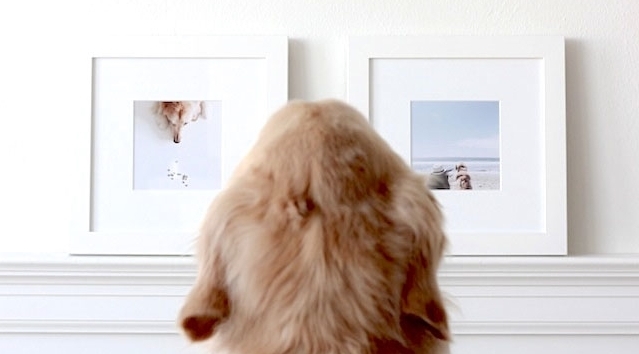 you don't need a fancy camera to snag a great photo of your pet (although they do always help). if you're using your iPhone consider using portrait mode for headshots or "live" mode for action ones. for those of you using real cameras, use action mode to capture those calm moments between the wiggles. the photo below was a complete accident when she was 11 weeks old. your pet is like a baby, easily distracted and not always willing to cooperate. so before grabbing your camera & pet for your photoshoot, snag their favorite snack or their most-loved toy, otherwise known as "positive distractions" so you can keep them focused while you're behind the lens. you want your pet to pop so be conscious of what's in the background. if your pet is brown, don't choose thicket or sepia toned forest for the photos - choose bright green grass, vibrant ocean blues or multi-colored florals. if your pet is white, don't place them in front of a white wall - choose something with some color. 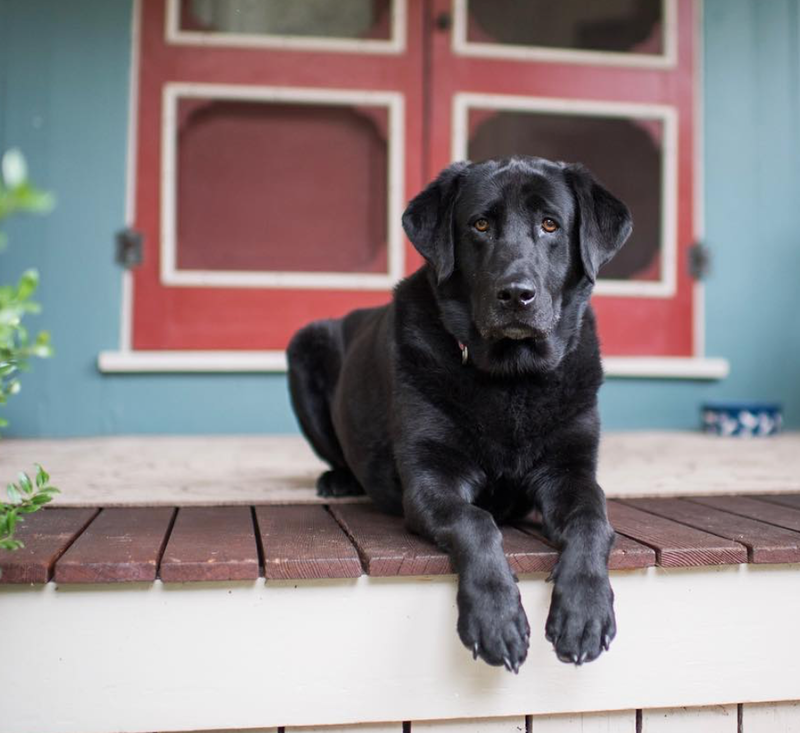 this is especially important for those of you with all black pets; extra dark pets can be some of the most difficult to photograph, but never fear, it can be done. think about how you photograph people, with natural light and a lot of it. do the same with your pet and use the sunshine or cloud coverage to your advantage. Aimee Song summed up shadows and harsh light well in her Capture Your Style book about instagram and creating the perfect feed. i found with Tucker, that little inside light OR dark lighting will not result in a good picture. she always needs that natural sunshine (inside or out) to see the shape and distinct features in her face. 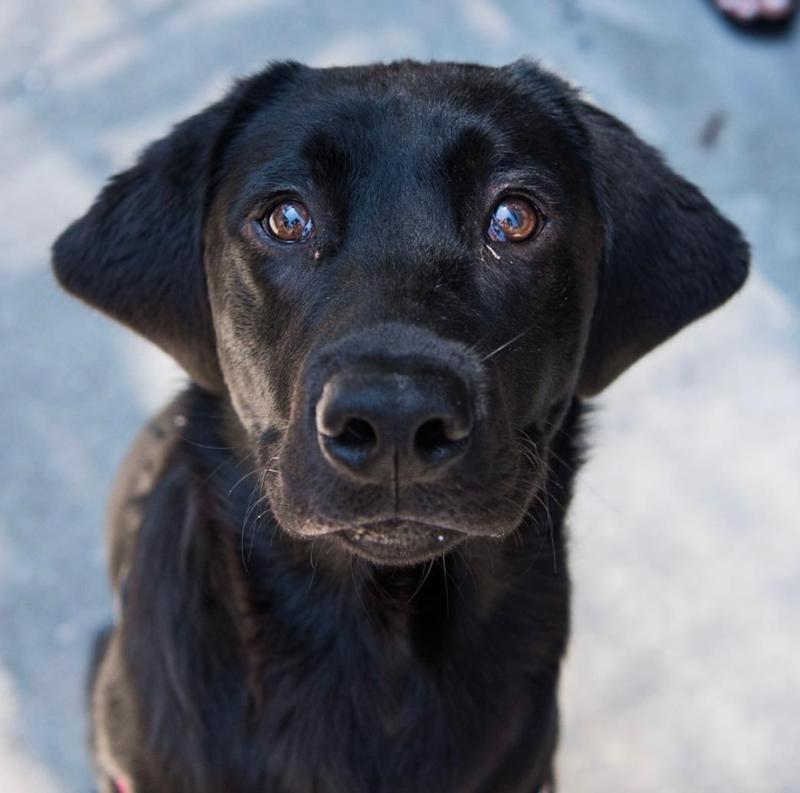 The Dogist has found a way to always make dark colored dogs look stunning. below are some of my great examples of all black dogs from their Instagram account. note: the photos specifically shown in this section below to The Dogist and are not mine. after you reach your location, let your pet take a minute or two to investigate the surroundings. this will benefit you both, it gives you time to get your camera ready and lets them get familiar with the space. even if you're using your backyard, things have changed since the last time they were out there - let them relax. once everyone is ready, say your pet's name, make a couple of noises to get them to lift their head and be interested in you - then snap those pics! if this doesn't work, break out those positive distractions. if you have a friend or someone else with you, try having them stand behind you to get your pet to look past you at the camera. in the left-hand image above, Tucker is interested in my husband who is standing off to the side. in the right-hand image above, she's still focused on him, but he has moved directly behind me for that perfect shot. there, after a couple practice runs, two bags of treats and an Advil, you finally have the perfect shot of your pet. now what? this is the best part, get that bad boy framed or even better, send it to me as a reference photo for a custom portrait of your pet. figure out something else that helps with photographing your pets? share in the comments below!